If you're a professional searching for your next opportunity in today's aggressive job market, you've probably found that the task of marketing yourself on your resume is unlike any other. How do you sum up a long, storied career in just a few paragraphs? What is the best way to differentiate yourself on paper--and to get employers to see your value? Standing out among the pack requires an intense emphasis on your natural leadership abilities, the impact you have on your employer's business, the feedback you get from colleagues, and the hard skills that you bring to the table. This information comprises what is known as a "personal brand," and it has become the cornerstone of a successful professional resume in the employment arena. 1 - Hone Your Message. 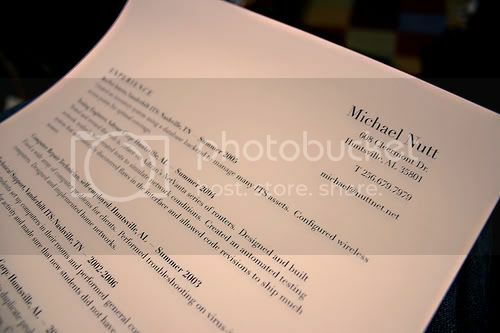 Many resumes contain too much detail, which is quite understandable given the long tenure that some candidates possess. However, it's asking a lot of hiring authorities to wade through more than 2 or 3 pages of information. In addition, focus on one career goal and skill set at a time. This may mean that you will create one resume targeting a role in Operations, and another that describes your skills for a Sales position.